Last year, lawmakers told the Texas Juvenile Justice Department to close a facility, and the agency drew up plans to shutter its aging Corsicana detention center. Now, lawmakers are keeping it open at a cost of $100,000 a month. 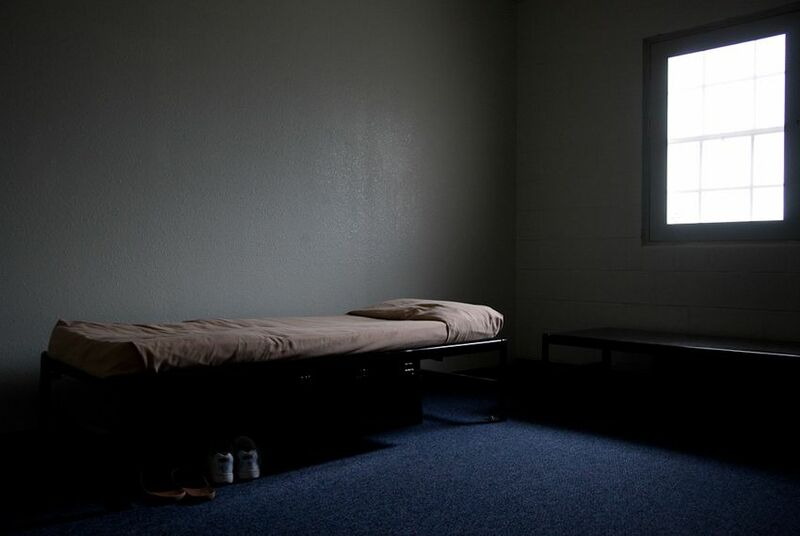 More than a year after lawmakers told the state juvenile justice agency to shutter a facility to save money, the aging Corsicana Residential Treatment Facility remains open at a cost of some $100,000 a month to taxpayers. There are no youths there, just 25 employees who are awaiting word from lawmakers looking for ways to salvage the decrepit institution that once housed mentally ill youth offenders. During the 2013 legislative session, state budget writers cut $23 million from the Texas Juvenile Justice Department’s budget and ordered the agency to reduce the number of secure facilities for youths from six to five. In August, the TJJD board approved a plan to shutter the Corsicana Unit, which for years struggled with high rates of violence and abuse among its population. The 65 offenders housed there were moved to the McLennan County State Juvenile Correctional Facility in Mart. And most of the more than 160 TJJD staff members in Corsicana either left, were laid off or were relocated. Today, though, despite explicit orders in the state budget to shutter one facility by Jan. 1, 2014, the Corsicana unit remains open and the buildings sit empty, awaiting a decision from the powerful lawmakers on the Legislative Budget Board who are scrambling to save the juvenile detention center that first opened in 1889 as an orphanage. Since August, the TJJD’s plan to close the Corsicana unit has been gathering dust at the Legislative Budget Board, which is made up of key lawmakers from the House and the Senate and sets the state's budget limits. But despite the ongoing expense to keep the facility open, lawmakers seem in no rush to approve TJJD's closure plans. State Rep. Byron Cook, R-Corsicana, has been working with other lawmakers, including state Sen. Brian Birdwell, R-Granbury, and meeting with two top members of the LBB, Lt. Gov. David Dewhurst and House Speaker Joe Straus, to try to rescue and reuse the facility. Cook is among the most powerful members of the House, where he serves as chairman of the State Affairs Committee. A top lieutenant of Straus, he helped shepherd passage of a controversial abortion measure last year. In previous letters to the TJJD board, members of the LBB have said they were concerned that shuttering the unit could lead to bed shortages for juvenile offenders in the future as the state population continues to grow dramatically. Currently, though, there are about 1,100 juveniles detained at the agency's five remaining secured facilities, which can house up to 1,500. Navarro College in Corsicana already provides training for all TJJD employees as well as college courses for juvenile offenders in the agency's detention facilities. Cook provided only a statement and declined to be interviewed about the details and the timeline of the plan for the Corsicana facility. Jason Embry, a spokesman for Straus, also said alternative uses for the facility are being explored. Local officials say an informal plan is being discussed to turn the facility into a place where offenders nearing the end of their sentences would learn job skills before returning home. “We are very much in hopes of that happening,” said Navarro County Judge H.M. Davenport. How much such an operation would cost and who would oversee it are not known. In 2007, state officials estimated it would take more than $31 million to upgrade the aging Corsicana youth facility. To replace it would take $55 million. State Sen. John Whitmire, D-Houston, chairman of the Senate Criminal Justice Committee, has been a key proponent of shuttering the facility. He did not immediately return calls for this story, but he has said the Corsicana facility should have been shuttered years ago. The delay in closing the unit has also sparked concern among youth advocates who have argued that the agency should focus on improving mental health care for juvenile offenders in state custody. Correction: An earlier version of this story incorrectly reported that a member of the Legislative Budget Board was from Corsicana.